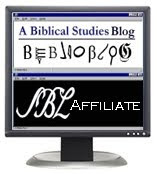 The Sacred Page: Sola Scriptura or Sola Revelatio? 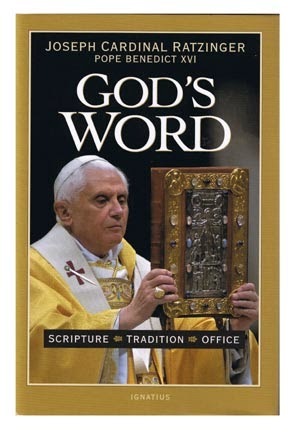 God’s Word: Scripture—Tradition—Office (eds. P. Hünermann and T. Söding; trans. H. Taylor; San Francisco: Ignatius Press, 2008), 51-53. Really, if you aren't familiar with this book, you need to get it. The following is taken from a section with the subheading, "Revelation and Scripture". The fact that there is “tradition” rests first of all on the incongruence between the two entities “revelation” and “Scripture”. For revelation signifies all God’s acts and utterances directed to man; it signifies a reality of which Scripture gives us information but that is not simply Scripture itself. Revelation goes beyond Scripture, then, to the same extent as reality goes beyond information about it. We could also say that Scripture is the material principle of revelation (perhaps the only one, perhaps one of a number—we may leave that point open for the moment) but is not that revelation itself. The Reformers were still quite aware of that; only in the subsequent disputes between post-Tridentine Catholic theology and Protestant orthodoxy was it noticeably blurred. In our own [twentieth] century, Protestant theologians themselves, like Barth and Brunner, have rediscovered this fact, which was entirely self-evident to both patristic and medieval theology. What we are saying can also be made clear from a different starting point: you can have Scripture without having revelation. For revelation always and only becomes a reality where there is faith. The nonbeliever remains under the veil of which Paul speaks in the third chapter of his Second Letter to the Corinthians. He can read Scripture and know what is in it, can even understand at a purely intellectual level, what is meant and how what is said hangs together—and yet he has not shared in the revelation. Rather, revelation has only arrived where, in addition to the material assertions witnessing to it, its inner reality has itself become effective after the manner of faith. Consequently, the person who receives it also is a part of the revelation to a certain degree, for without him it does not exist. You cannot put revelation in your pocket like a book you carry around with you. It is a living reality that requires a living person as the locus of its presence. a. As a reality that has its basis in God, it always extends upward into God’s action. b. As a reality that happens to man in faith, it extends, as it were, beyond the mediating fact of Scripture, too. It becomes clear, from this incongruence between Scripture and revelation, that quite independently of the question of whether Scripture is the sole material source or not, there can never be an actual principle of sola scriptura in Christianity (something that, as we said, was still clear in principle to the great Reformers and was only forgotten later, in so-called Protestant orthodoxy). Scripture is not revelation but, in any case, is only a part of this greater reality. This statement is not intended to mean that Scripture is merely an account, without any substance, of facts that remain entirely outside of it. Rather (as, hopefully, what follows will show), the view that the reality of revelation is a reality of the word—that in the word, the proclamation of the reality of revelation comes to me—should remain fully valid. It nonetheless remains true that the mere word before us, available to us, is not yet itself the reality of revelation, which is never just “available” to us. What is said here is simply intended to point to the difference between the word and the reality that occurs within it, a difference not abolished by the nature of revelation as word. See G. Gloege, “Schriftprinzip”, in RGG, 3rd ed., V, 1540–43. Further bibliography there. LThK VII, 1104–15; J. R. Geiselmann, “Offenbarung”, in H. Fries, Handbuch zum Begriff der Offenbarung; see M. Vereno, R. Schnackenburg, and H. Fries, in Theologische Grundbegriffe II (Munich, 1963), 242–50, and the bibliographical material offered in each case. See W. H. van de Pol, Das reformatorische Christentum (Einsiedeln, 1956), 117–92. See on these ideas A. Oepke’s important article “ἀποκαλύπτω”, in ThWNT III, 565–97. Is it fair to say that both the incarnate Christ and His word as Scripture are mediators for the revelation of the image of the invisible God?